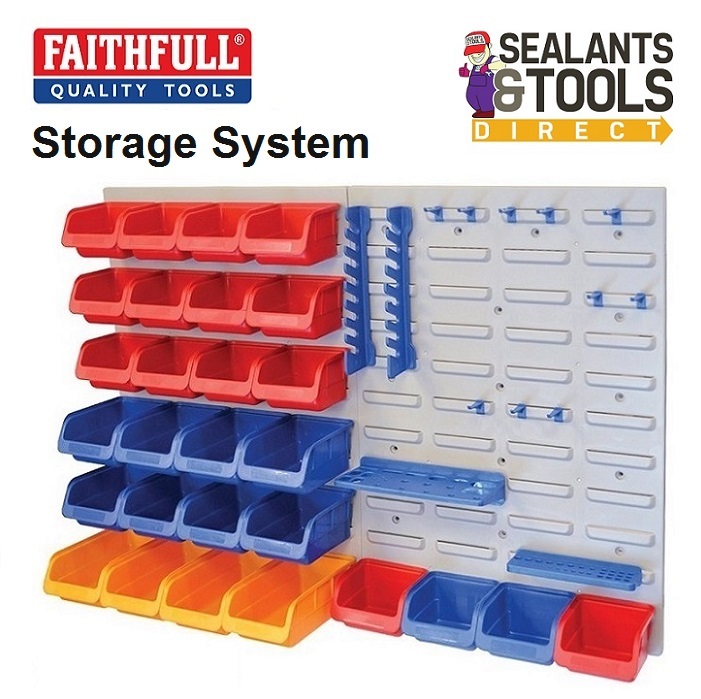 Faithfull 43 piece wall mounted storage system. Quick and easy way to organise tools, fixings and accessories with easy access. Comprises two sturdy wall panels with 28 plastic bins for small parts such as nails, anchors and screws, and various tool holders that will accommodate screwdrivers, drill bits, combination spanners and many more items. Ideal for workshop, garage or hobbies. Two sturdy wall panels with bins and tool holders. Ideal for small parts such as nails, anchors and screws. Holders for screwdrivers and combination spanners.